Mister Rogers arrives with his ventriloquist dummy, Hischer Booptrunk. Hischer is dressed just like Mister Rogers and Mister Rogers spends a moment talking about he and Hischer are alike and different. On her way to teach a sign language class, Maggie Stewart stops by to invite Mister Rogers to come see Chuck Aber and his car at the Neighborhood car show. Before she leaves, Ms. Stewart sings and signs Then Your Heart is Full of Love. In the Neighborhood of Make-Believe, King Friday is playing the bass violin when his is visited briefly by a beautiful butterfly named Darrelle. Neighbor Aber arrives at the castle and suggests to King Friday that for one day, Queen Sara and Mayor Maggie trade jobs -- a "novel idea" in the eyes of King Friday. After Darrelle Butterfly returns to the castle looking for Nancy Caterpillar, Lady Aberlin and Neighbor Aber decide to get the blessing of everyone in the Neighborhood for Queen Sara and Mayor Maggie's temporary job switch. After a stop at the Museum-Go-Round where Lady Elaine is wearing a bird mask, Neighbor Aber and Lady Aberlin move on to Daniel's clock. At the clock, they meet Nancy Caterpillar who is playing with Daniel Striped Tiger. Darrelle Butterfly arrives at the clock and everyone is assured that the Mayor/Queen job switch would only be for one day. Back at the house, Mister Rogers visits the Neighborhood car show where he looks at many classic automobiles and finds Chuck Aber showing his 1958 Corvette. Together they visit another gentleman who shows his own classic car. 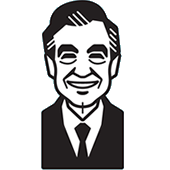 Returning to the house, Mister Rogers concludes by talking about how he and Hischer could never take the place of one another and tells viewers that "you are yourself and nobody could ever take your place either." 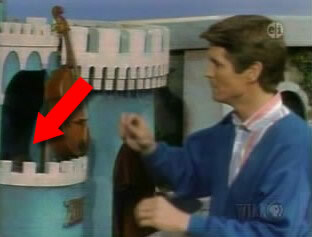 As King Friday exits the scene at the castle with Neighbor Aber, Fred Rogers' head can be seen behind the castle's wall. A clip of this episode can be seen in the 1988 film Short Circuit 2.